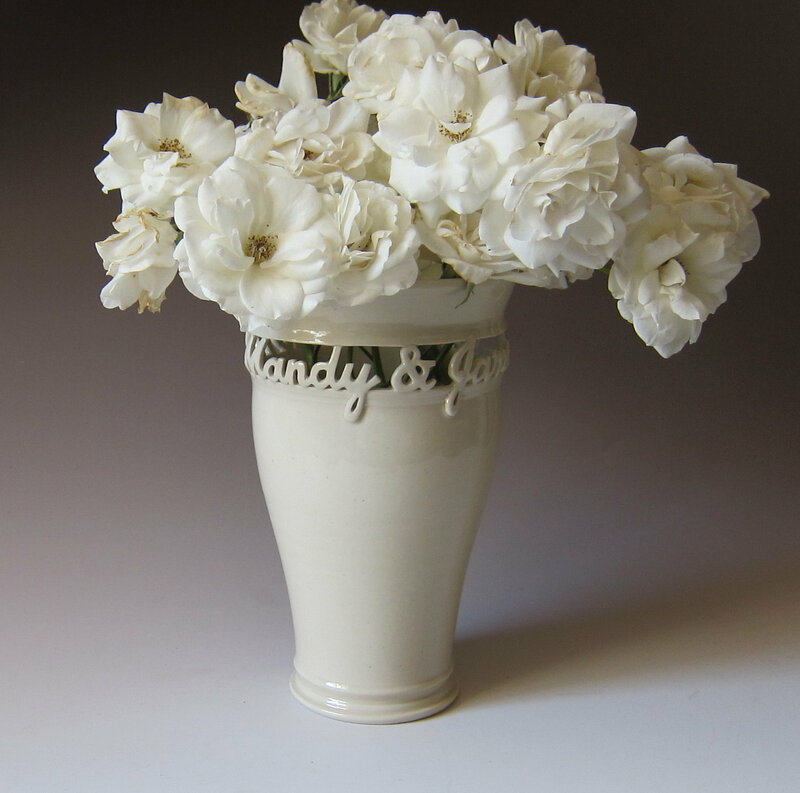 When I discovered MaidOfClay vases, I think I fell in love with them just a little bit! What an incredible way to add a personal touch to a shabby vintage/vintage inspired wedding. 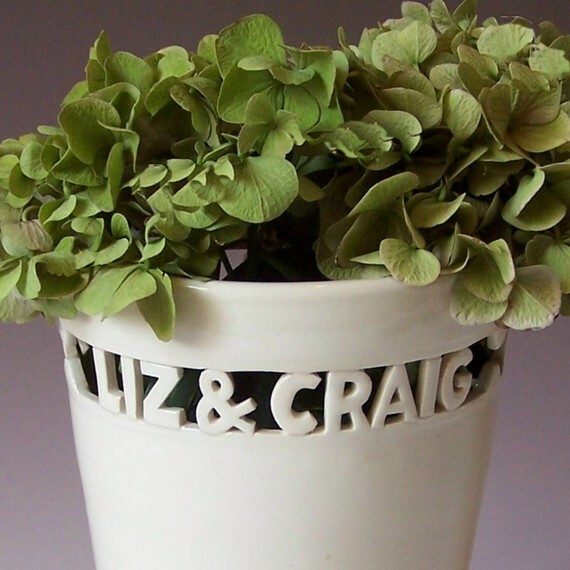 These would look perfect on your gifts/card/wedding cake table….or would even be a great wedding present. So unique! 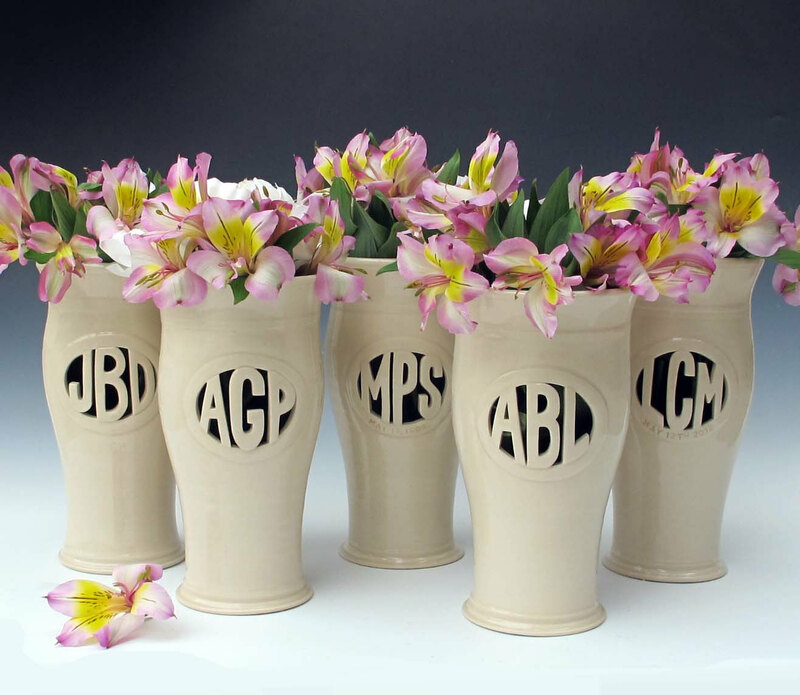 Vases start from £41.09 and are available here…. They are absolutely the cutest thing! I think they’re perfect for any sort of gift, doesn’t have to be a wedding. Could be to a good friend or maybe even to our moms on Mother’s Day. I especially like the first picture, with the capital letters. Gives a little modernism to the vintage look.